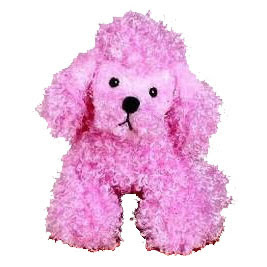 The lil kinz poodle is the most adorable and has the most gorgeous pink fur ever. This lil kinz has just arrived and looking for a friend. This is the sweetest little friend you are going to have. Cool and chic this little pooch is. Special item is a pink convertible and the special food is a pink poodle parfait. Fabulous!